Since the first massage chair was introduced, there has been a major transition and top manufacturers are introducing new features to their massage chairs. Here is a look at the common features that you can expect to find in the the newest massage chair. This is an innovative feature that allows the chair to carry out an excellent massage. It will offer various massage strengths, and it can also be adjusted easily to suit the preference of the user. The 3-D massage mechanism delivers the rollers to give you a deeper massage. It will also withdraw the rollers gently for a super relaxed massage. The rollers rotate like the wrists of a masseuse, and they will imitate a fine massage professional movement. The latest massage chairs have been developed with the heat therapy. The massage chair manufacturers have developed chairs that have the ability to heat a specific area. Others have been designed to heat multiple areas, which gives you a soothing feeling. If you find the right massage chair, you can be able to control the flow of heat in specific areas. These chairs have been developed with some automatic programs that deliver a perfect calming effect. These auto programs will work according to the pre-set modes. With these auto programs, you can control the massage techniques, massage systems, locations, and durations. This makes it a perfect chair to relax and allow it to perform the massage. There are some chairs that have been made with a music synchronization. This helps you enjoy the music as you are relaxing in the chair. Some have installed speakers that deliver the music during the massage. There is also a jack port for inserting your earphones when you want some alone time. The first massage chair was introduced with a remote control that allows you to control it as you wish. You can control it with a digital LCD screen, which gives you more details on how to control it. This tends to be easier to use, compared to the initial remote control. Other than these features, you can also use your smartphone with the fitted stand in the newest massage chair. 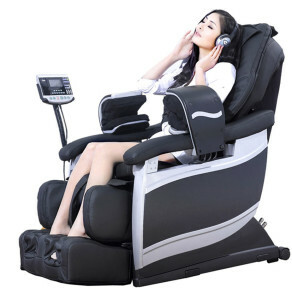 This makes it a perfect piece if you need a massage chair to give you total relaxation. Always go for the best brand and ensure that you choose the latest version to enjoy all the upgraded features. You might want to test the reliability of the massage chair before you purchase it.